The Salvation Army Boys and Girls Club is expanding its mentoring program with an emphasis on STEAM (Science, Technology, Engineering, Arts, Math) curriculum. Mentoring weaves together academic excellence, enrichment, recreation, and character development to help each child realize his or her full potential to achieve a great future. By promising a brighter future for the youth of our community, we’re healing lives and developing leaders for life. We help create a path to successful careers, which will lead to strong citizens who raise families without barriers, live hope-filled lives, and give back to their community. The Salvation Army reports a worldwide membership of over 1.7 million, consisting of soldiers, officers and adherents collectively known as Salvationists. Its founders sought to bring salvation to the poor, destitute, and hungry by meeting both their "physical and spiritual needs". It is present in 131 countries, running charities, operating shelters for the homeless and disaster relief and humanitarian aid to developing countries. 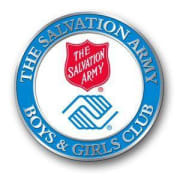 Would you recommend The Salvation Army Boys and Girls Club?